Enrico Rava, trumpet; Manfred Schoof, trumpet; Hugh Steinmetz, trumpet; Peter Brötzmann, tenor saxophone; Gerd Dudek, tenor saxophone; Evan Parker, soprano saxophone; Paul Rutherford, trombone; Derek Bailey, guitar; Fred Van Hove, piano; Alexander von Schlippenbach, piano; Irene Schweizer, piano; Arjen Gorter, bass; Peter Kowald, bass; Buschi Niebergall, bass; Han Bennink, drums; Pierre Favre, drums. 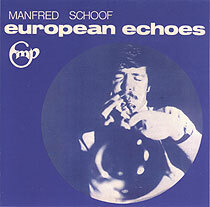 Recorded in June 1969 in Bremen. Cover photograph (reproduced above) by Johannes Muth; design by Wolfgang Walter. Originally released on LP as FMP 0010.